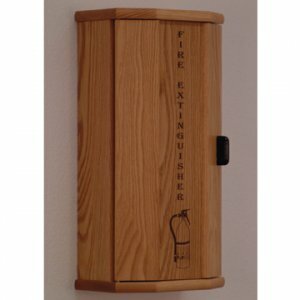 Wooden Mallet's new surface mount fire extinguisher cabinet allows you to hide an unsightly extinguisher in plain sight for safety. These high quality cabinets are constructed with 3/4" solid oak sides and doors sealed in a durable state-of-the-art finish. 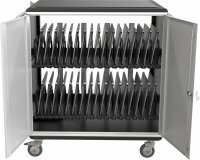 Cabinet door features contemporary engraving or an acrylic window pane. Made in the USA.